hd00:10Smoothies and cakes in the cafe Pai. hd00:45Step by step. Preparing homemade chicken enchiladas. hd00:08Closeup of salmon burger. Gourmet plate of food. 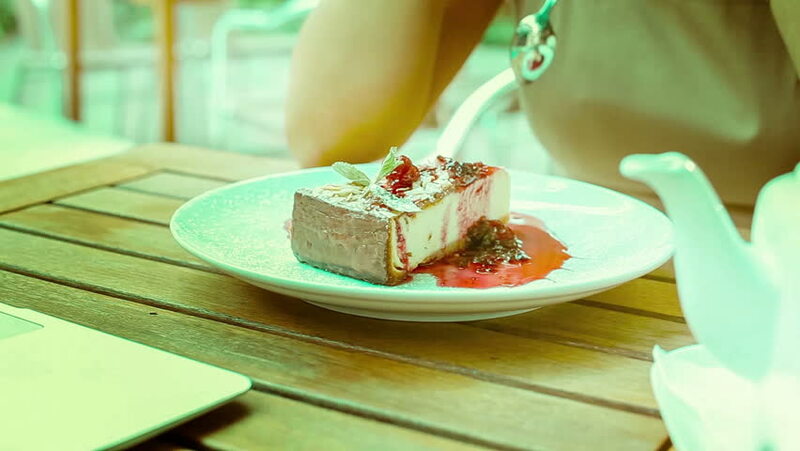 4k00:09Motion of mini cake on table inside restaurant with 4k resolution.